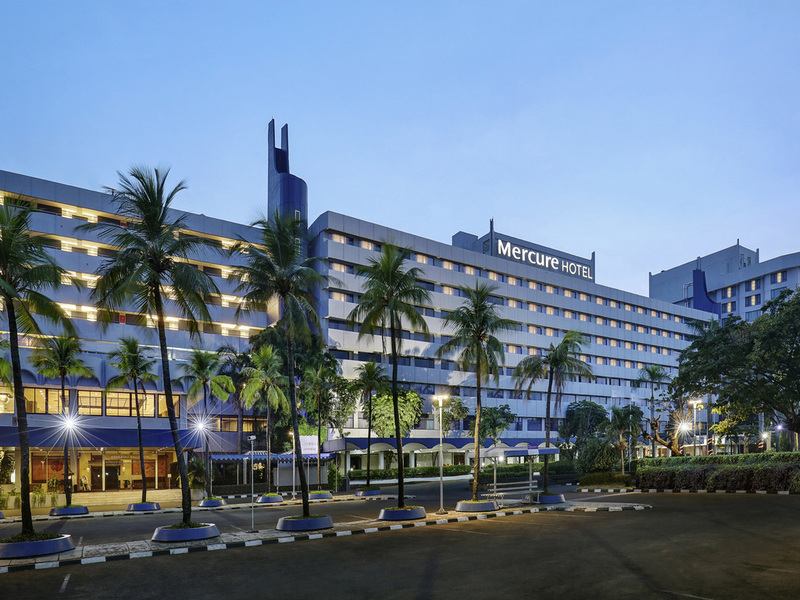 Mercure Convention Center Ancol is located inside Taman Impian Jaya Ancol in the north of Jakarta, its 438 renovated rooms lets you explore the ambiance of the sea in Jakarta right outside of your window. Completed with a 24 hours all day dining in Sunda Kelapa Restaurant and authentic Japanese feast at Shiosai Japanese Restaurant, This hotel is the perfect place to stay for any kind of business trips, conventions, events, leisure and family trip in the town. From Standard to Grand Presidential Suite, Mercure Ancol offer a wide range of room categories, with different size and facilities. Let your palate explore the variety of cuisine in our Sunda Kelapa Restaurant with both International and iconic local dishes. Indoor and outdoor dining area. Spend hours relaxing to the gentle serenade of our musicians at the elegant Nelayan Lobby Bar.